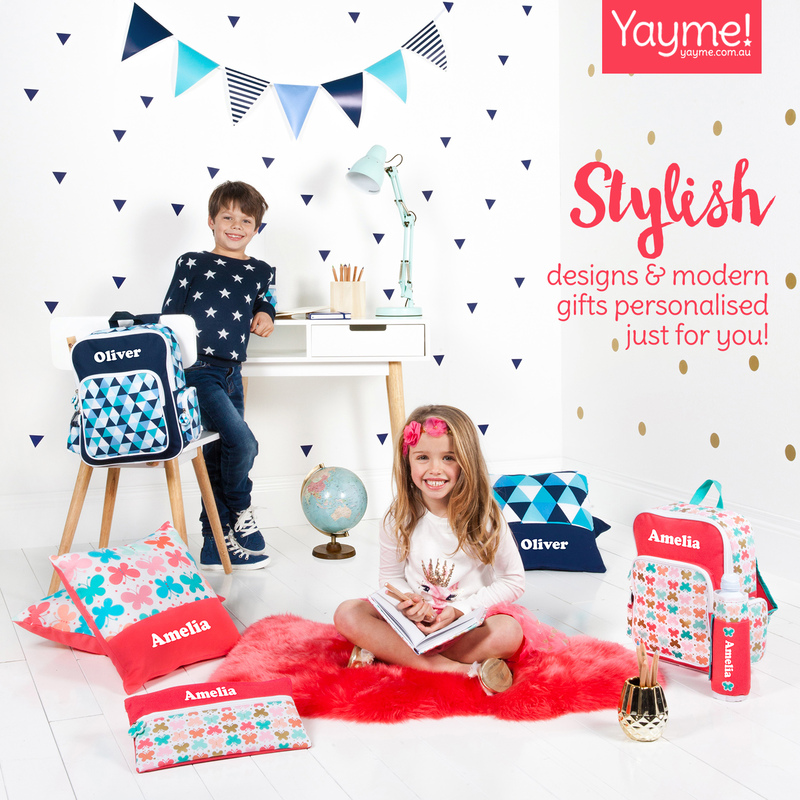 Do you have a tribe that loves Peppa Pig? 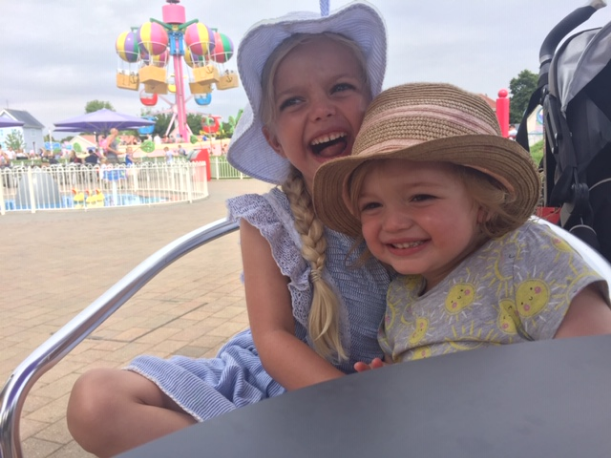 Kimberley and the Latham tribe headed to Peppa Pig World in the UK and shared their adventures with us. 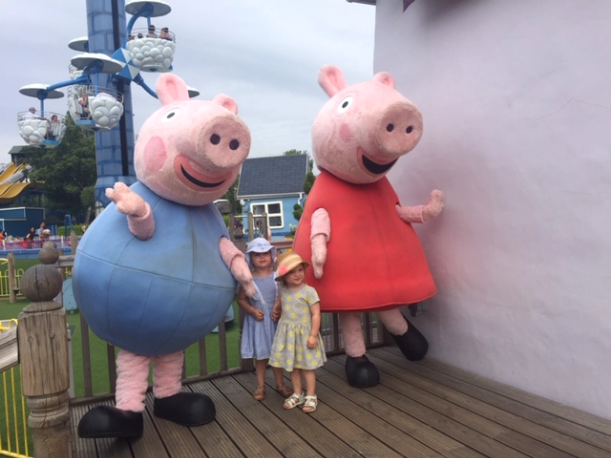 During the UK school summer holidays we ventured down to Paultons Park in Hampshire (an hour South West of Greater London) in our long-awaited trip to the famous Peppa Pig World; which makes up almost half of the theme park. Despite it being the school holidays, I was pleasantly surprised that we parked up and walked straight into the park without queuing. 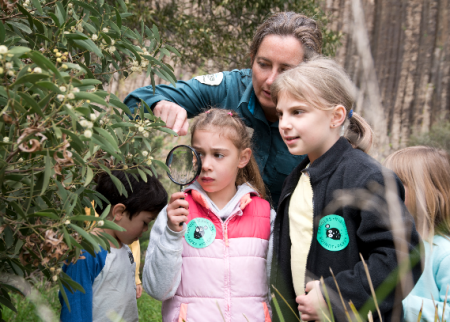 The park is designed to completely tailor the needs of families; with toilets on arrival before you even access the park, for that all important post-journey toilet stop for the little ones. As anyone with kids will know, theme parks can be very pricey with some big UK theme parks costing £50+ ($90+AUD) per adult and child over 4 years old! However at Paultons Park children under 1 metre tall get in free so we didn’t need to pay for our youngest child and it cost just £85 for two adults and our 4 year old, making it much cheaper than some of the other theme parks. Upon accessing Paultons Park the height of all children is measured by the friendly staff and each child is given a colour-coded wristband. This made the whole process of trying to find out which rides the kids were able to go on so much easier! We headed straight to the Peppa Pig World area which is a feast for the senses of any child who has ever enjoyed an episode of Peppa Pig! 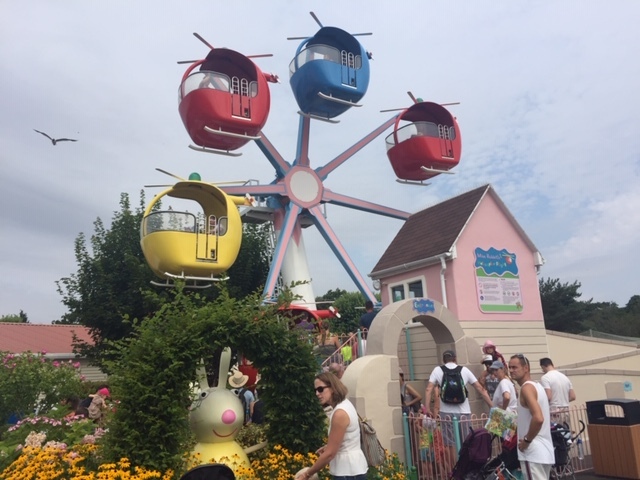 We were greeted by the familiar Peppa Pig music and narration of the characters, and the area is filled with rides resembling scenes from the TV series including Grandpa Pig’s Little Train, Madame Gazelle’s School House, and Daddy Pig’s Car Ride. We visited the park with my sister and her two daughters so between us had four kids aged 2 to 5 and Peppa Pig World was perfectly targeted at this age group. The younger two were in awe as they met ‘the real’ Peppa Pig and George after a short queue for a meet and greet and photo session. Meanwhile the older two were excited to take a flight on Miss Rabbit’s Helicopter Flight…which to my amusement didn’t help much with my husband’s fear of heights! After grabbing some lunch at one of the many food outlets we watched the Summer Beach Party Show on the Show Stage (just outside the Peppa Pig World area), which the kids loved dancing and singing away to. The older kids (accompanied by us adults) then braved the Cat-O-Pillar rollercoaster ride in the Critter Creek area which was their first rollercoaster experience! 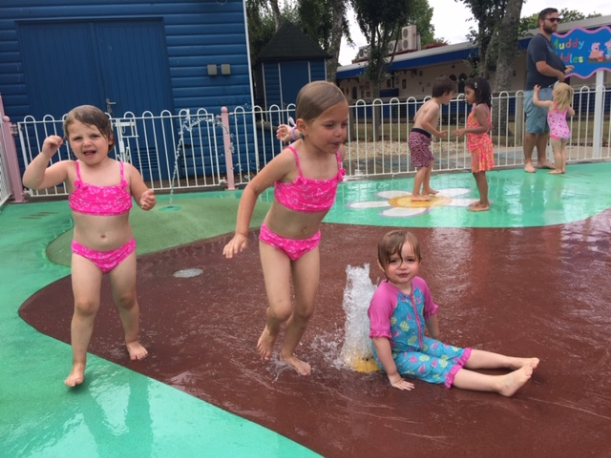 Before heading home the kids cooled off in the Muddy Puddles splash area back in Peppa Pig World, then we took a walk over to the Lost Kingdom area to look at some of the ‘thrill rides’ for older children. Then the heavens opened and we got caught in a rain shower so decided to make a dash back to our cars! A fun day was had by all, it was a great value family day out, with rides and attractions to suit all ages, and we will certainly be visiting Paultons Park again in the future! 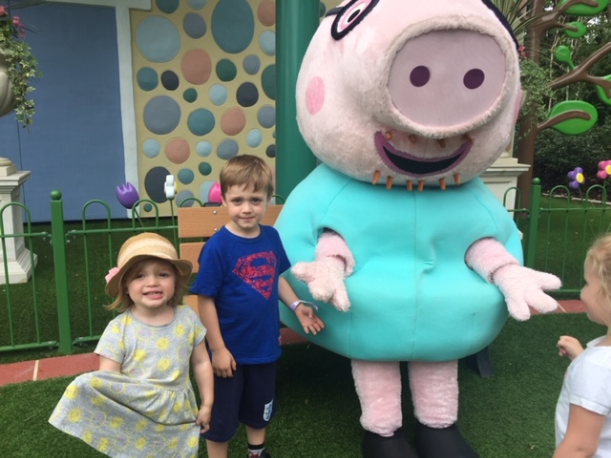 Thanks to Kimberley Latham from @mummingit for her awesome review of Peppa Pig World!